Travis’s cousins, Leon and Kelvin, have already found help through Moja Tu to continue their secondary educations. 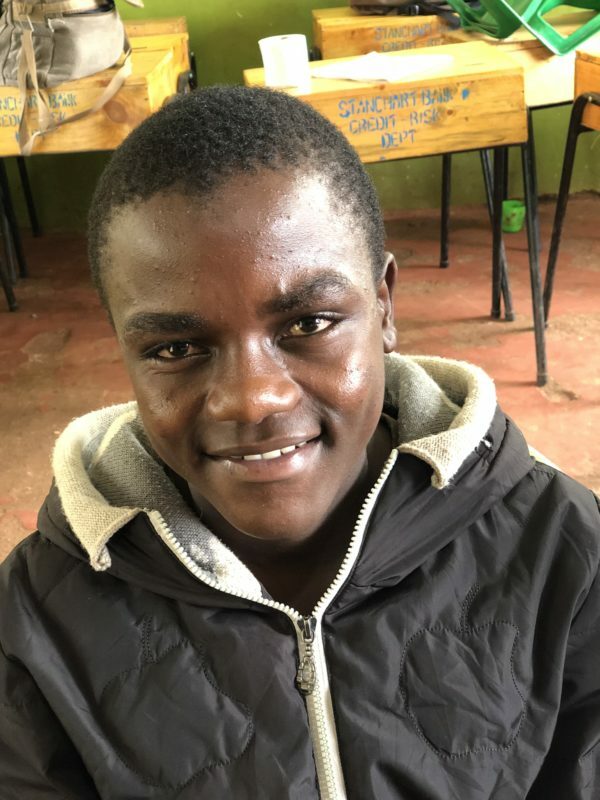 Now that he has graduated from primary school, Travis is ready to find a sponsor of his own to help him with school fees and encourage him to do his best as he earns his education. Travis is no stranger to hard work. As a class 7 student, he was nominated to lead his school as the student body governor. He also acted as the head of the school’s soccer team. These impressive positions weren’t attained by pure luck; Travis worked hard to get there, and led his school and soccer team with humility and strength. He stepped down from both positions in his last year of primary school in order to focus on studying for the impending KCPE exam, on which he earned an impressive 357 points. Travis’s experience as the leader of his school only increased his desire for education – he hopes that by finishing his schooling, he can become an important person in his society and help improve the country that raised him. We are very impressed with Travis’s determination and clear understanding of what it means to be a leader. Young leaders like Travis are destined to change the world for the better. Help Travis fulfill all his potential by sponsoring him today!